Rey Mysterio will officially be appearing on SmackDown's 1,000th episode. WWE confirmed today that Mysterio is set for SmackDown 1000, which is taking place at the Capital One Arena in Washington D.C. on October 16. PWinsider had reported last week that Mysterio would be returning for the episode. 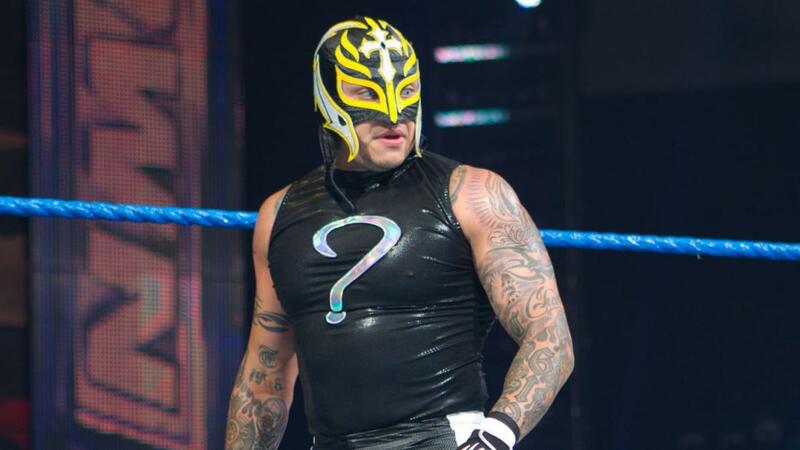 As was noted previously, Mysterio has officially signed a two-year contract with WWE. The deal includes an option for him to give notice at the 18-month mark. Mysterio wrestled in the main event of All In last month, teaming with Fenix & Bandido against The Young Bucks & Kota Ibushi in a six-man tag match. He also wrestled at a show for Warrior Wrestling on September 2 as he finished up his independent wrestling dates ahead of returning to WWE. Evolution (Triple H, Batista, Randy Orton, and Ric Flair), The Undertaker, Michelle McCool, Torrie Wilson, Teddy Long, and Vickie Guerrero are also advertised for SmackDown 1000.